Apple on Tuesday updated its smaller all-in-one iMac desktop with a high-resolution Retina 4K display, packing 9.4 million pixels into its 21.5-inch screen. The new 21.5-inch iMac features a 4,096-by-2,304-pixels display, 4.5 times more pixels than the standard 21.5-inch iMac. Apple says the new sRGB-based panel displays more lifelike colors, and features a P3-based color gamut with a 25 percent larger color space. 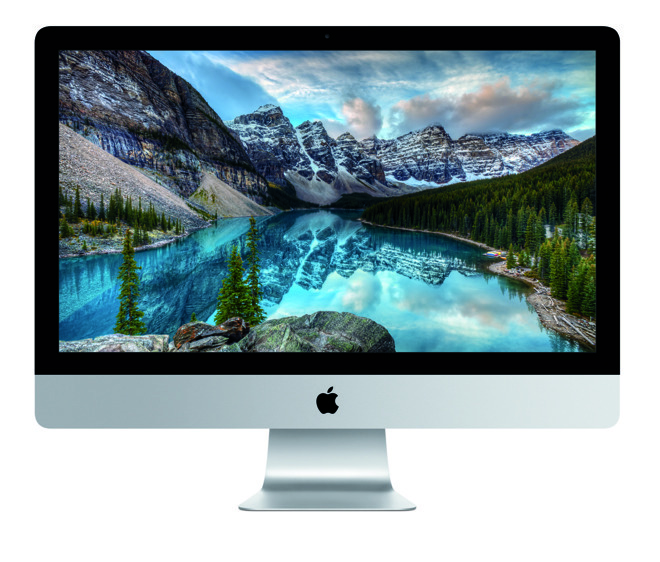 The 21.5-inch iMac with 4K Retina display starts at $1,499 and features a fifth-generation Intel Core processor and enhanced Intel Iris Pro Graphics. It also boasts two Thunderbolt 2 ports, delivering up to 20Gbps data transfer speeds. The iMac has also been updated with three stream 802.11ac Wi-Fi, supporting up to 1.3Gbps wireless networking. The default Retina configuration features a 3.1-gigahertz Intel Core i5 quad-core processor, a 1-terabyte hard drive, and comes with the new Appel Magic Keyboard and Magic mouse 2 or Magic Trackpad. Build-to-order configurations can be upgraded to a 3.3-gigahertz quad-core Intel Core 84 processor, as well as Fusion Drives of 1- or 2-terabytes, or a 512-gigabyte flash SSD drive. "From the first iMac to today, the spirit of iMac has never wavered —deliver the ultimate desktop experience with the latest technologies, gorgeous displays and cutting-edge designs," said Philip Schiller, Apple's senior vice president of Worldwide Marketing. "These are the most stunning iMacs we've ever made. With our gorgeous new Retina displays, more powerful processors and graphics and all-new Magic accessories, the new iMac continues to redefine the ultimate desktop experience." The update brings the 21.5-inch iMac in line with its larger 27-inch brethren, which debuted with a 5K Retina display one year ago. 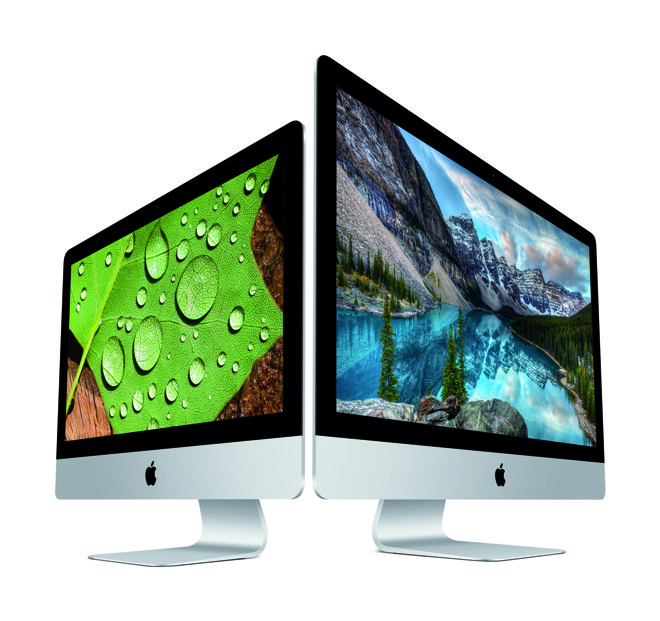 Apple most recently refreshed its smaller iMac lineup in June of last year.